JERUSALEM -- U.S. chip giant Intel has agreed to buy Israeli autonomous-driving technology company Mobileye in a deal valued at $14.7 billion. The $63.54 per share cash deal -- an equity value of $15.3 billion -- is the world's biggest purchase of a company solely focused on the autonomous driving sector. Mobileye accounts for 70 percent of the global market for advanced driver-assistance and anti-collision systems. Mobileye's stock surged 33 percent to $62.90 a share in premarket U.S. trading on the reports. Intel said it expected the transaction to close within the next nine months and to immediately boost its non-GAAP earnings per share as well as its free cash flow. The two companies are already collaborating with BMW Group on a project to put a fleet of around 40 self-driving test vehicles on the road in the second half of this year. For a decade, Mobileye has relied on Franco-Italian chipmaker STMicroelectronics to produce chips which the Israeli company sells to many of the world’s top automakers for its current, third-generation of driver-assistance systems. However, while it was working with BMW, Mobileye also teamed up with Intel for its fifth generation of chips that aim to be used in fully autonomous vehicles and are scheduled to be delivered around 2021. 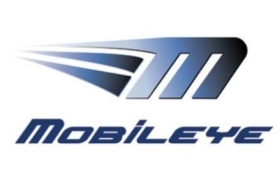 Founded in 1999, Mobileye made its mission to reduce vehicle injuries and fatalities. After receiving an investment of $130 million from Goldman Sachs in 2007, it listed on the New York Stock Exchange in 2014. It has a market value of $10.6 billion. Last October, Qualcomm announced a $47 billion deal to acquire NXP, the largest automotive chip supplier, putting pressure on other chipmakers seeking to make inroads into the market for autonomous driving components, including Intel, Mobileye and rival NVIDIA. The Qualcomm-NXP deal, which will create the industry's largest portfolio of sensors, networking and other elements vital to autonomous driving, is expected to close later in 2017, subject to regulatory and shareholder approvals. Mobileye, which employs around 600 people, had adjusted net income of $173.3 million in 2016.